Global EDGEucation has been contracted to develop a new International Montessori School in Sotogrande, Spain. It will become the first of its kind in Spain- a dual-language bilingual Montessori-based school in the Costa del Sol. Exciting times ahead! Our Director of TASTE Global Food Literacy Programme, Sarah, enjoyed a visit to Cameron International Primary School in San Roque, Spain to see the final outcomes of Global Food Literacy topics the children had been learning. Sarah, a master chef, spent the day teaching culinary techniques to the children using ingredients they had planted and grown themselves in their school edible garden. The students used their senses and taste education skills to explore a variety of fruits, vegetables, spices and herbs from around the world. Global EDGEucation is contracted to guide the founding, academic curricula and certification for a private school in southern Spain called Cameron International Primary School (www.cameroninternationalprimaryschool.com) which is implementing IPC and British National Curricula in a dual language bilingual approach. March 2017 - Global EDGEucation was excited to present the workshop "Preaching to the Non-Converted - Working Towards a Global Language Community" at the ECIS ESL and Mother-Tongue conference focused on Multingualism in Schools, which took place in Copenhagen, Denmark. Global EDGEucation enjoyed collaborating with Jane Fox, the Mother Tongue Co-ordinator at ACS Egham International School in Surrey, London. 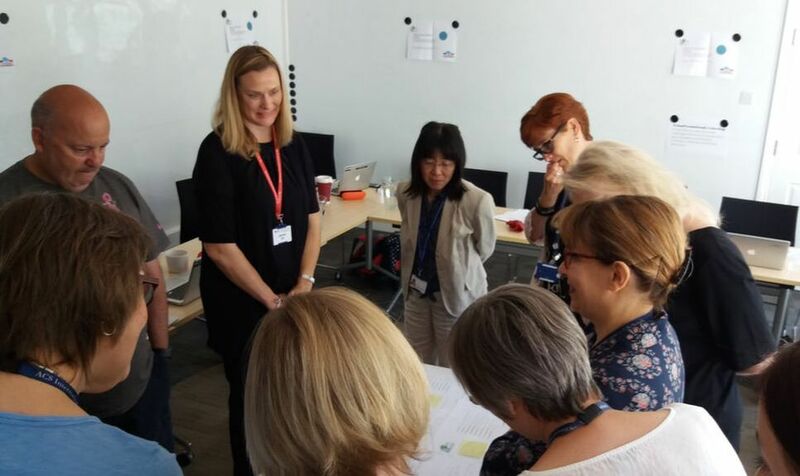 The workshop was well attended and was one that connected the ideas of the conference into practice and developmental plans to advocate for multilingual practice in schools. Additionally, Global EDGEucation is involved in the academic direction of a small academy for elite sports students and alternative flexible studies in Sotogrande, Spain called The Learning Hub (a division of Cameron International School). The Learning Hub supports international students who are pursuing entrance to sports scholarship programs (mainly in the US) or students following alternative studies independently. The students study an array of distance learning curriculum and are supported in their learning with high level coaching. The Learning Hub has also appeals to alternative students looking for a more flexible approach to their education. Global EDGEucation was proud to work with collaborator Niki Cooper of United World College Maastricht on helping the American International School of Rotterdam further improve their innovative in-the-school-day home language/mother tongue language program. Niki and Catherine worked to find tools for the alignment of curriculum and assessment in the primary school programming. Catherine lead an inspiring and informative workshop on using the CEFR and other tools to further establish their fantastic language provision and integrate IPC goals. Global EDGEucation attended the European Council of International Schools (ECIS) Yearly Conference in Barcelona, Spain to lead a "Campfire" workshop introducing the concept of "Global Food Literacy". The session was well attended by an array of international teachers and administrators concerned with tackling food literacy and with the addition of global perspectives. Insight was gained in a mutually beneficial way as ideas were shared around the table.. or "campfire"
The team from Global EDGEucation were excited to attend Canada's first National Conference on Food in Schools in Montreal called "Changing the Menu". Many excellent ideas and programs about improving food literacy and food initiatives in Canada were shared by delegates. Sarah, our Director of the TASTE Global Food Literacy Program presented a workshop about embedding Global Food Literacy into cross curricular studies in primary and secondary schools. Our Director Catherine participated in a meaningful exchange about Food Policy. Global EDGEucation is excited to announce a published article in International School magazine about our TASTE Global Food Literacy programme. TASTE Global Food Literacy Program Director, Sarah Copeland and Global EDGEucation Director, Catherine Copeland are pleased to be invited to present a workshop at the ECIS (European Council of International Schools) Annual Educators Conference in Barcelona, Spain November 17 - 21 2015. We will be hosting an innovative and interactive session to explore how embedding Global Food Literacy into existing curriculum will benefit children, their communities and their environments. 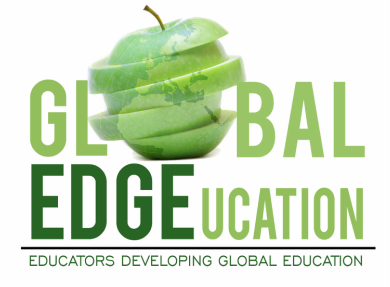 Global EDGEucation is excited to be presenting TASTE Global Food Literacy to delegates from across Canada at Canada's first ever national school food conference Changing the Menu in Montreal Nov. 12-14. We are looking forward to participating in Montreal and hope to help advance Global Food Literacy in Canadian schools. Global EDGEucation is excited to join forces with James Wren of The School of Creative Thinking ( www.theschoolofcreativethinking.com). James will be collaborating with the TASTE Global Food Literacy Program to combine food and design in a new workshop focused on ethical food marketing, exploring food processing and food packaging, food labeling and consumer behaviour. Using creative skills and design techniques learned in the advertising agency world, teachers or students can learn to deepen their skills, knowledge and understanding in this most important global citizenship area. 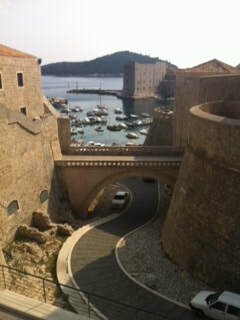 Many thanks to the participants of the Medcie spring institute “The Power of Language” which was hosted beautifully at the Radisson Spa Blu hotel in Dubrovnik, Croatia. Together, we enjoyed two full days dedicated to looking at language in international schools from both a theoretical and a practical perspective. We delved into school language policy and provision and made concrete action plans for participants to return home with. 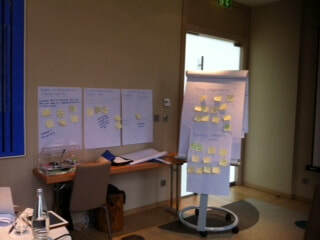 Intense and fun discussions were the highlight, along with activities to stimulate innovation and creative thinking. It was an enjoyable institute made even better with the gorgeous atmosphere and scenery! I am looking forward to the Medcie summer institute in July in the lovely Spanish city of Marbella.